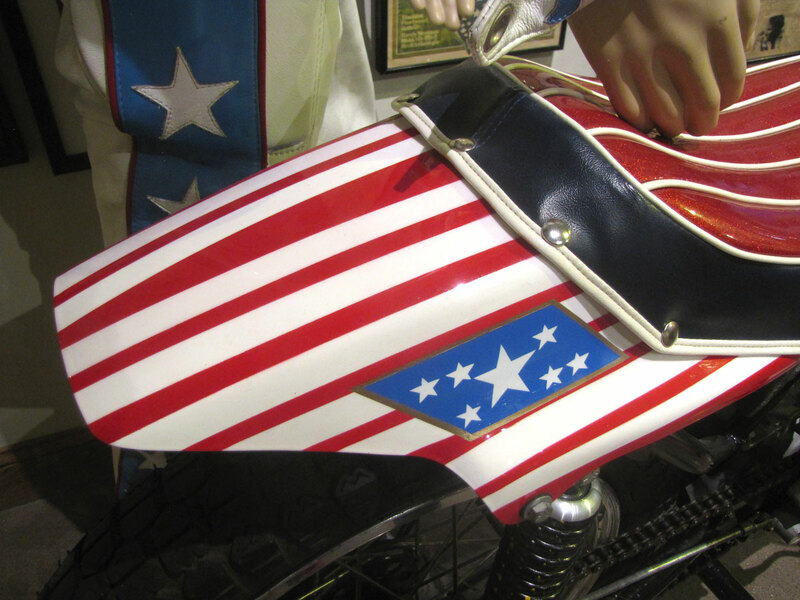 Evel Knievel. 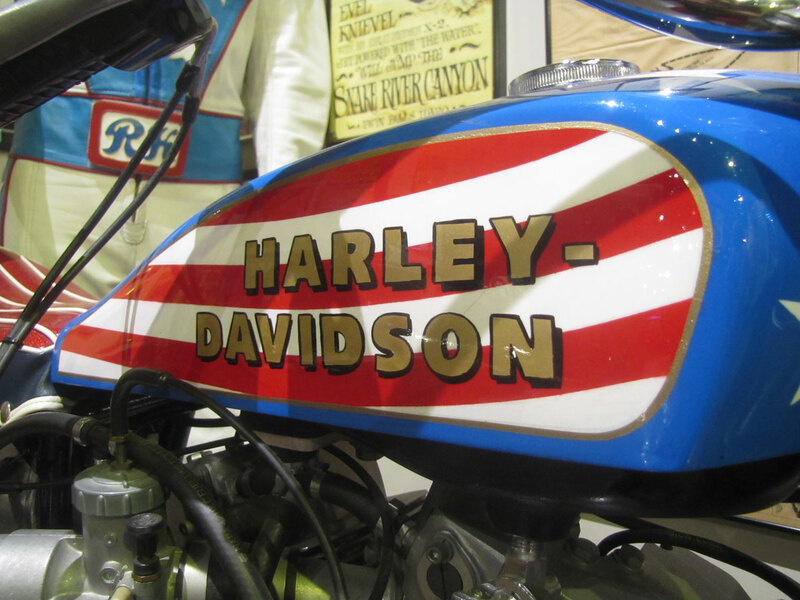 For people around the globe, motorcyclists or not, that name brings up images of the world’s most famous motorcycle stunt rider. 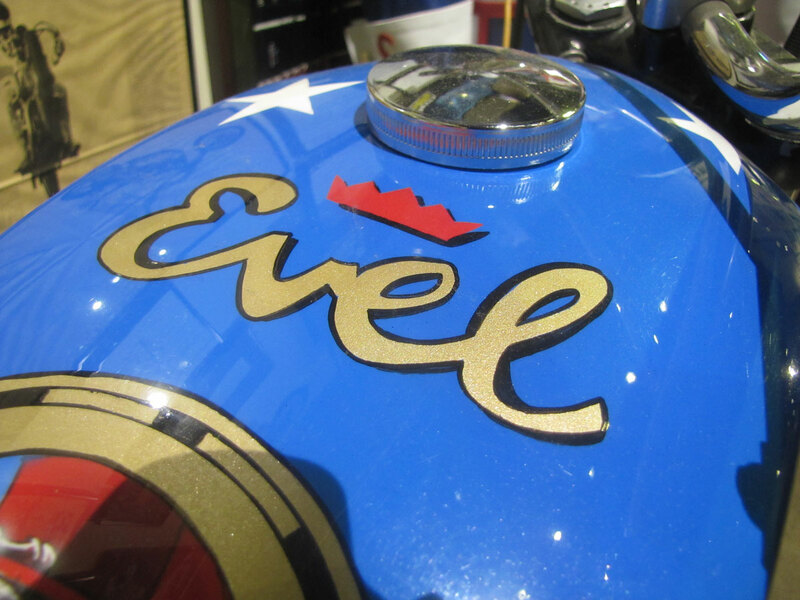 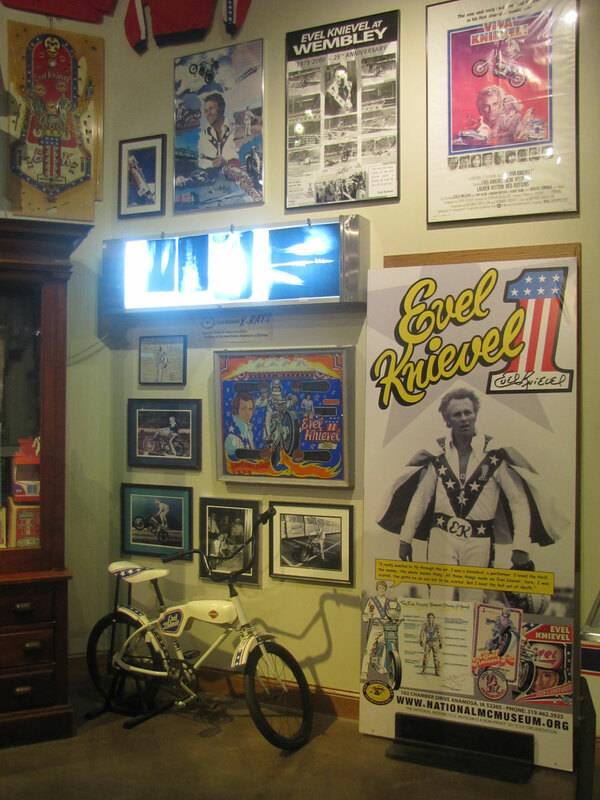 There’s now even the Evel Knievel Museum, exclusively about Evel’s life! 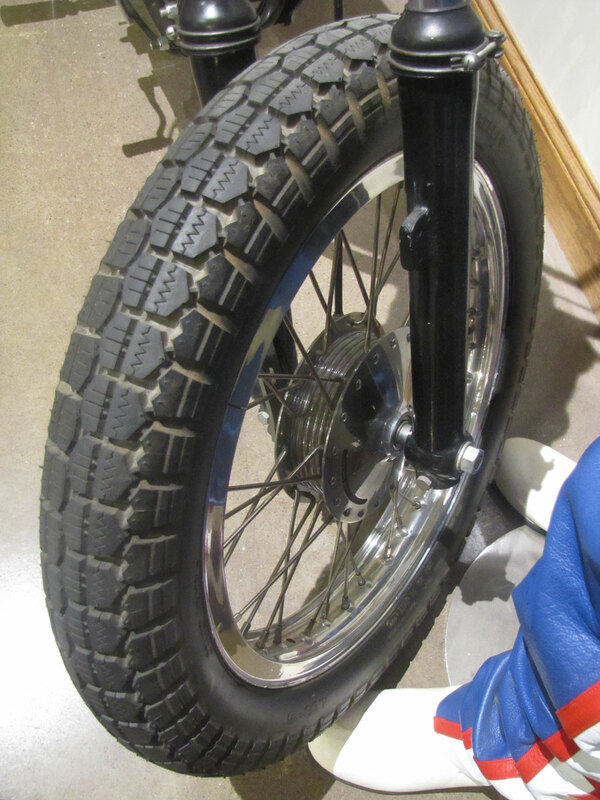 His career spanned a few decades as he sought to jump higher and farther over cars, buses and even the Snake River Canyon. 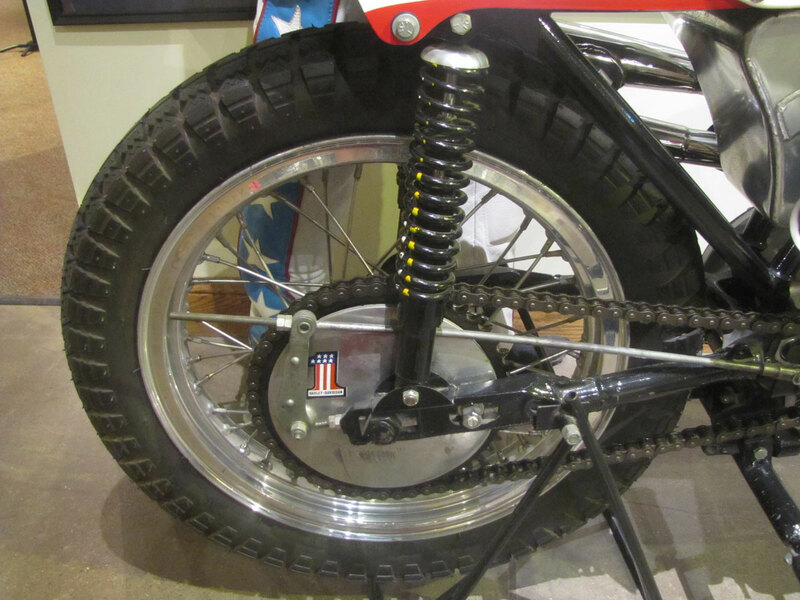 His jump bikes included Triumphs and Laverdas but he did his best work on the famed Harley-Davidson XR750 dirt track racer. 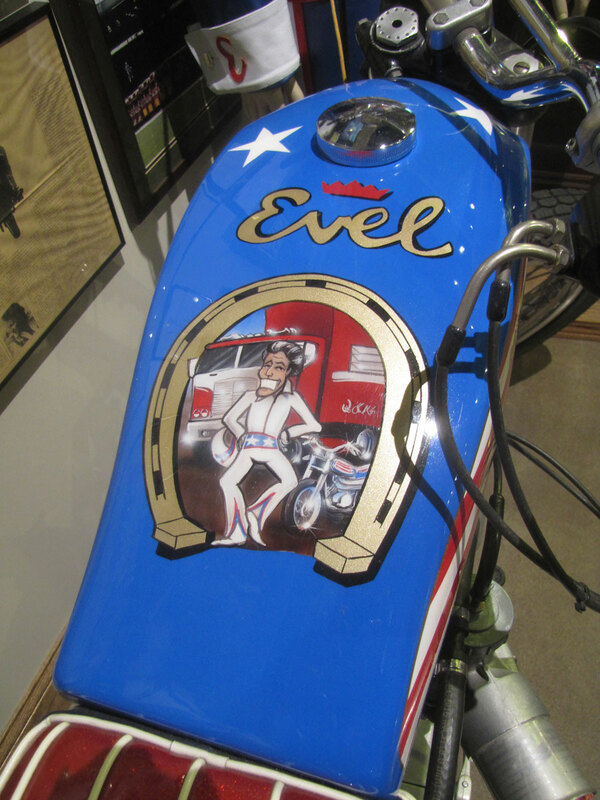 A master of Harley KR750’s, then XR750’s, Evel’s bikes were prepared by dirt track champion Roger Reiman and painted by George Sedlak who brought colors to Evel’s image; red, white and blue. 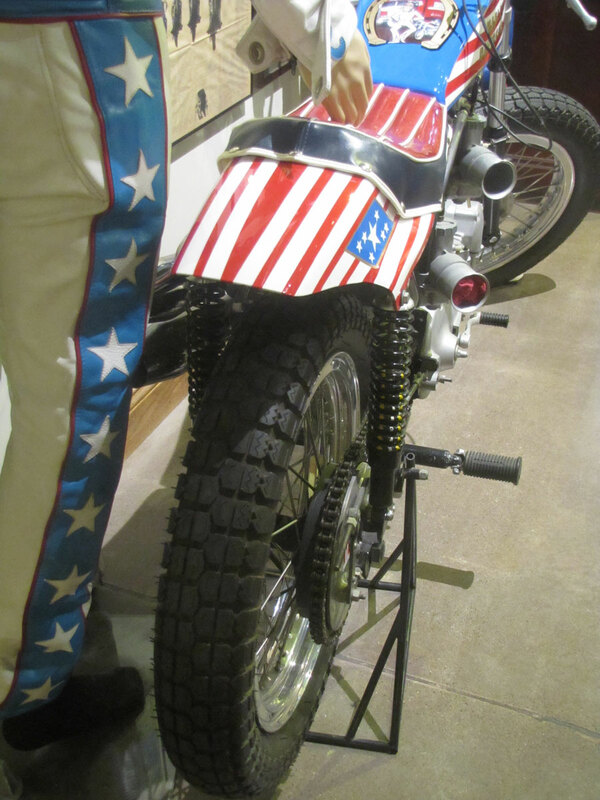 Most amazing about Knievel’s jumps were that he used bikes with moderate suspension travel never designed for jumping. 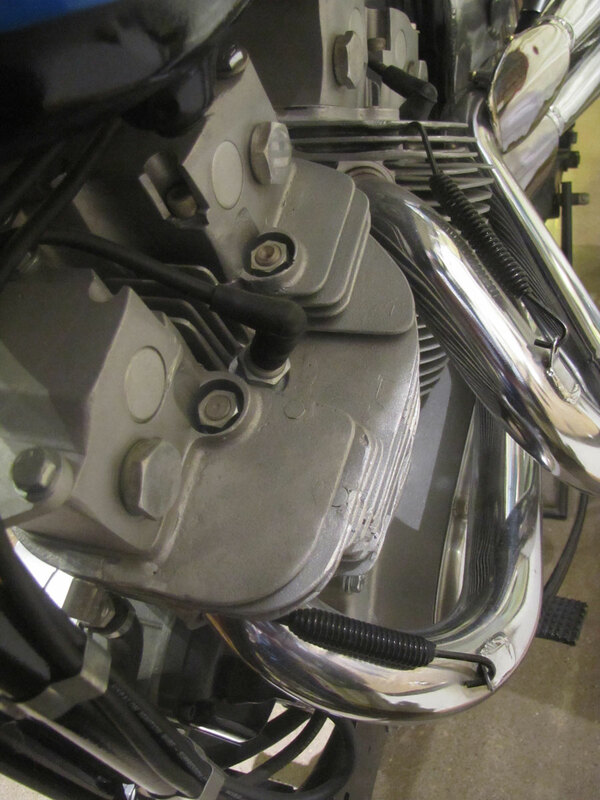 You don’t need a great suspension to launch off a ramp, but to land under control on the other side….well, the XR and his previous jump bikes had only four to five inches of travel. 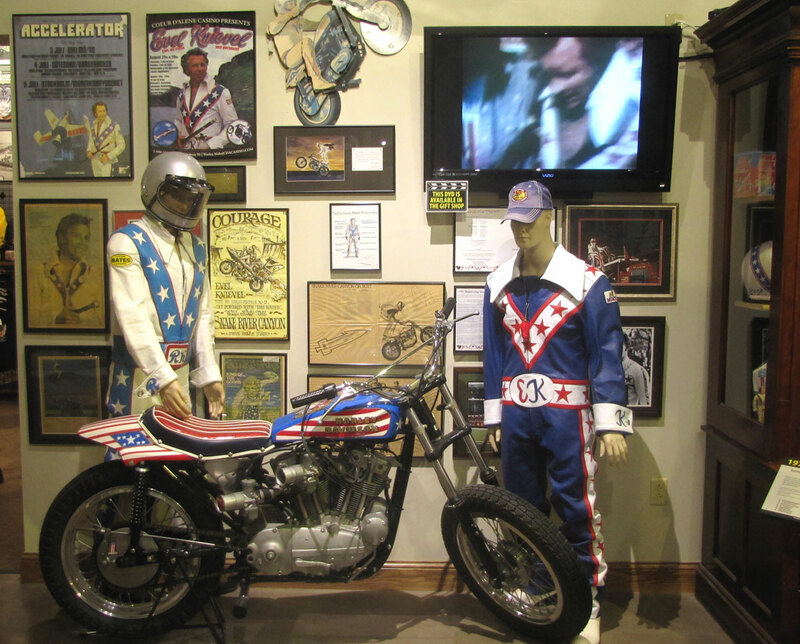 Five months after his ill-fated Wembley Stadium jump in 1975, Knievel jumped his XR-750 133 feet over 14 buses at Kings Island near Cincinnati, Ohio. 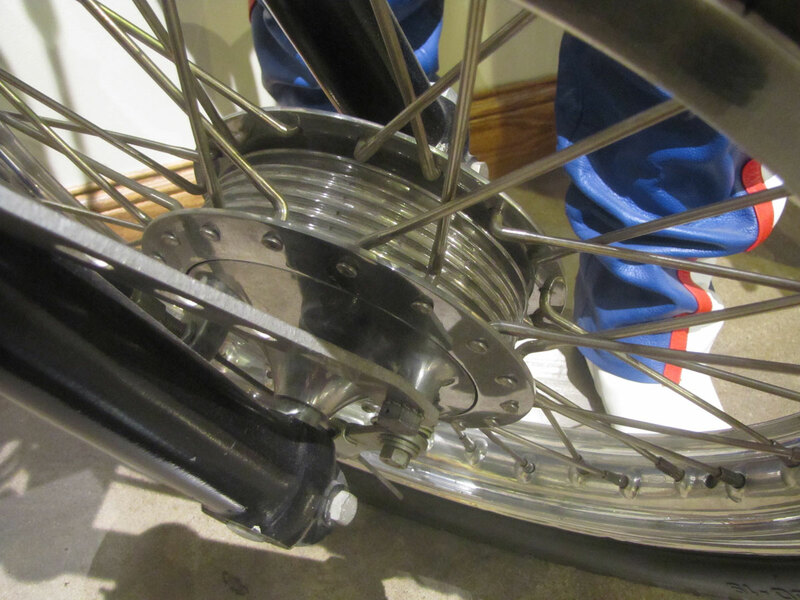 This established his personal and world record which stood for nearly 25 years*. 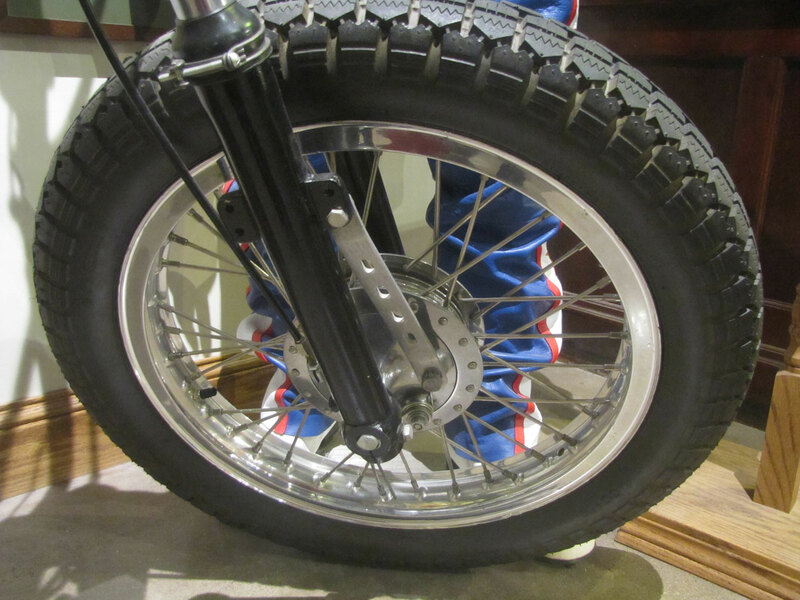 Riders wanting to best Knievel’s jumps, including his son Robbie, have used jump bikes based on lighter motocross machines with up to 12 inches of suspension travel. 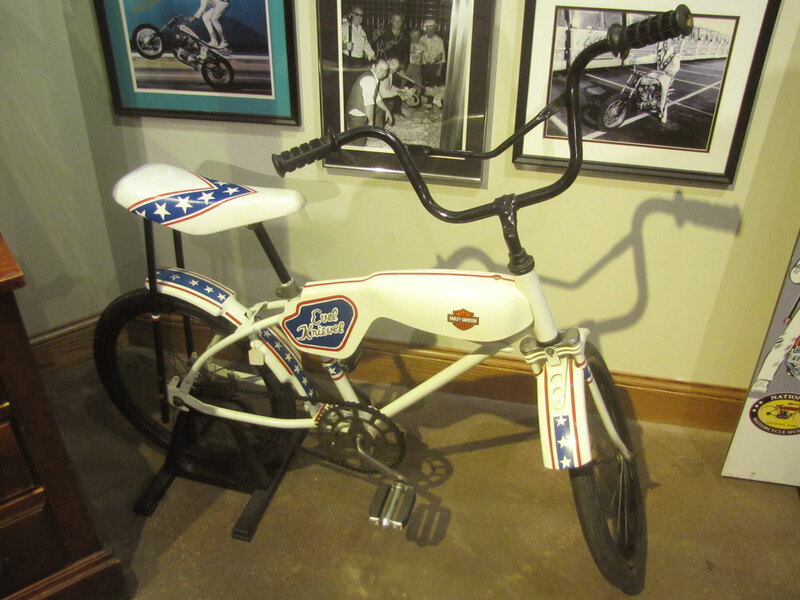 Ultimately some beat the master*, but many would say had an unfair advantage. 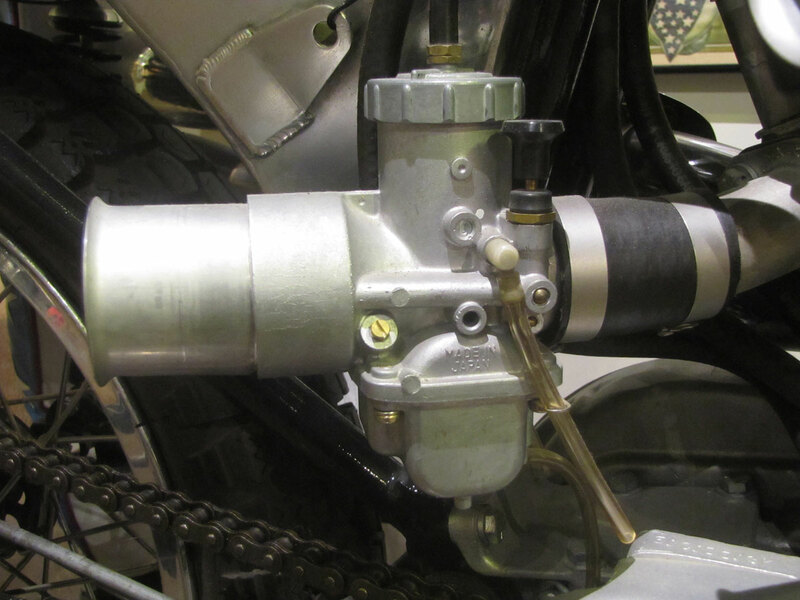 Travis Pastrana’s recent jump on a modern iteration of the XR750, the Indian Scout FTR750, seems more fair; the FTR is also a dirt tracker. 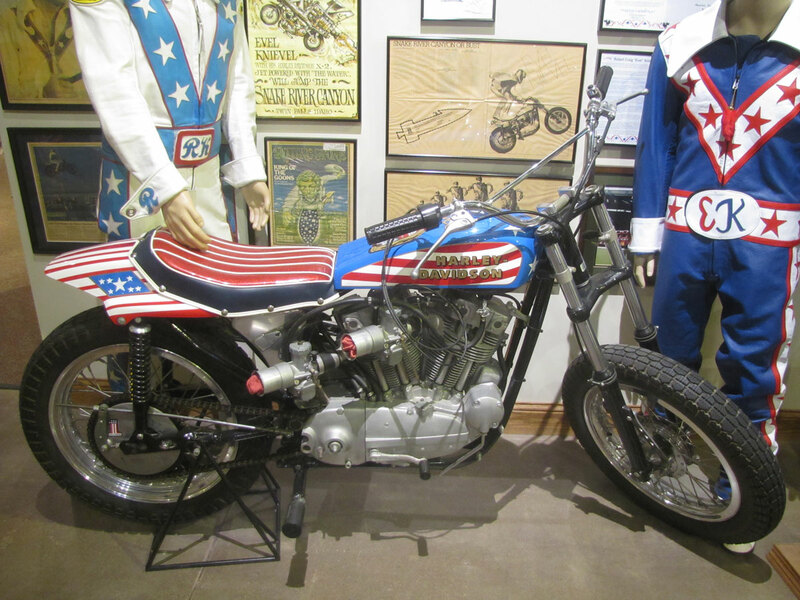 Sponsored by Harley-Davidson, Knievel used XR750’s from December 1970 until his final jump in January 1977. 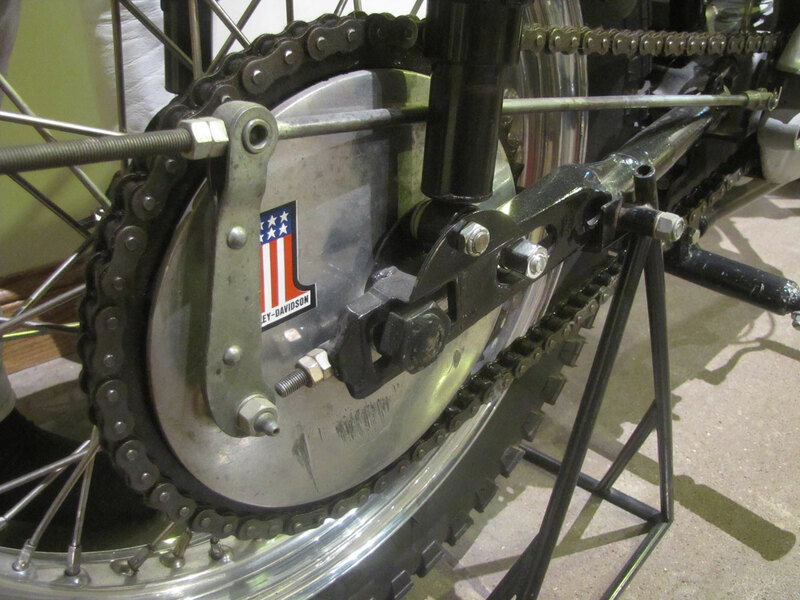 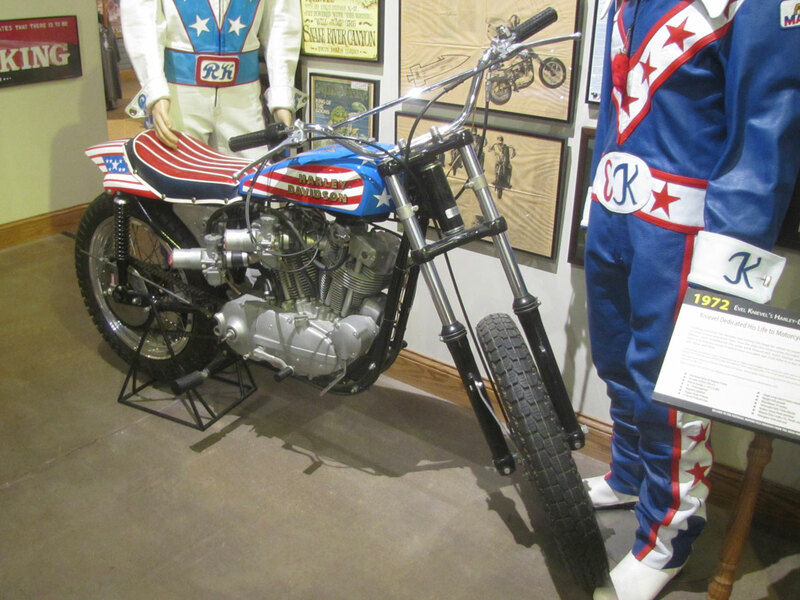 An important part of America’s culture and history, one of Knievel’s bikes is in the Smithsonian National Museum of American History America on the Move exhibit. 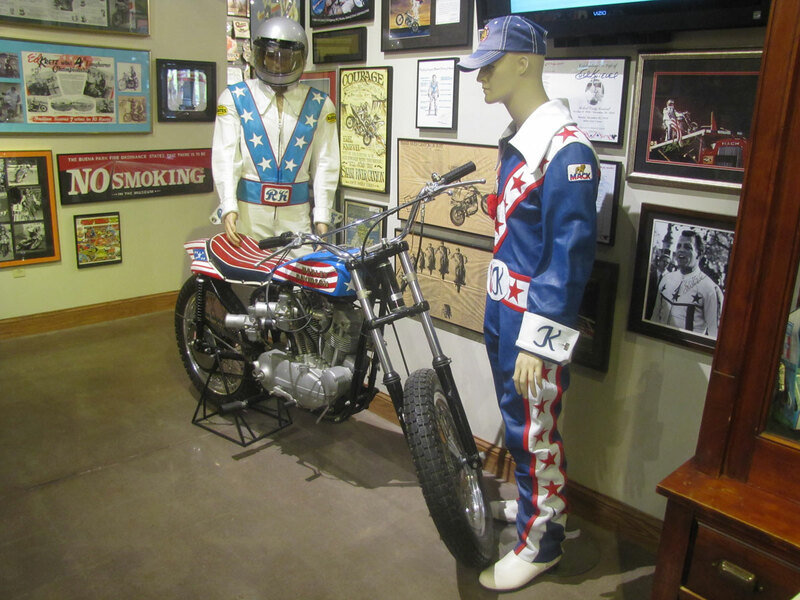 The feature of this story, with replicated paint and other details, is on display at the National Motorcycle Museum. 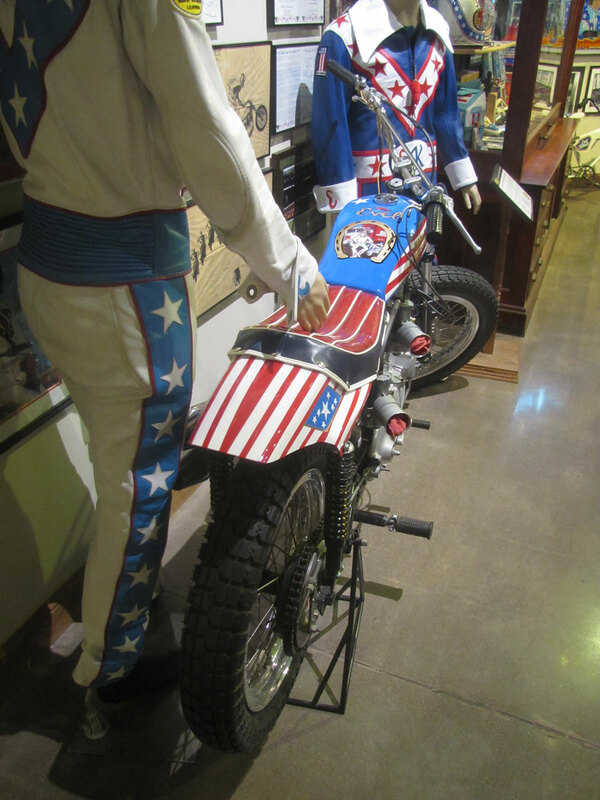 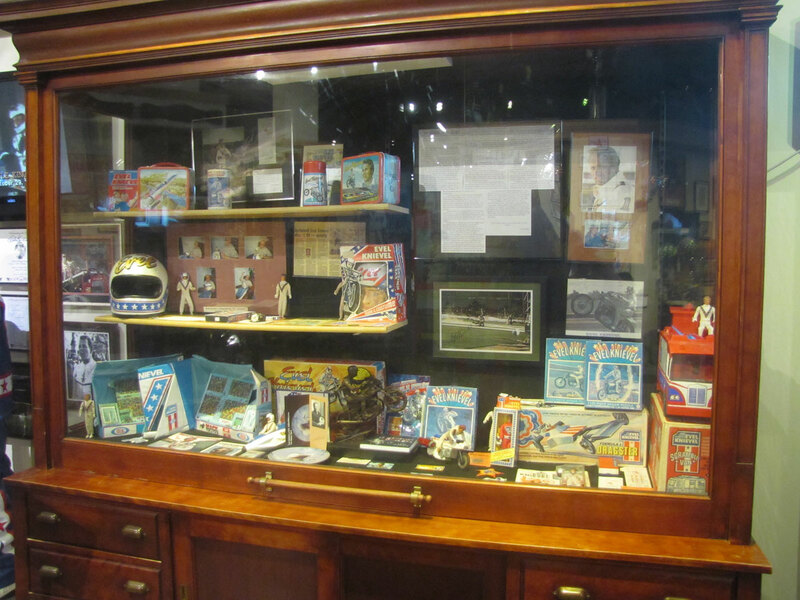 As a visitor, when you enter the Museum’s exhibition hall, it’s the very first thing you will see along with dozens of pieces of Knievel memorabilia and artwork. 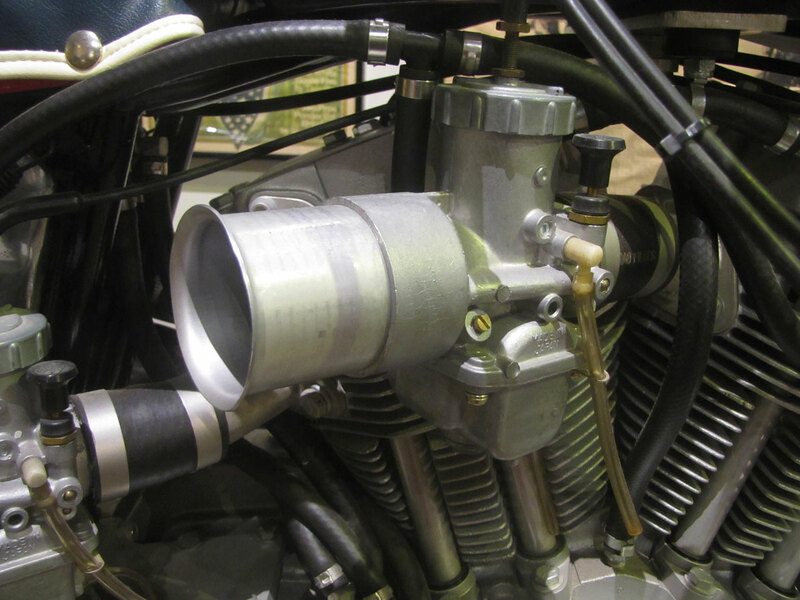 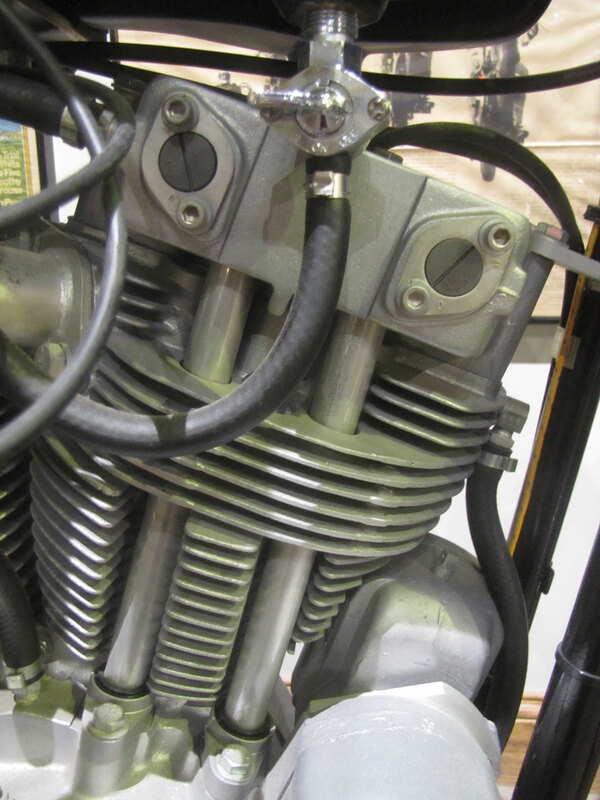 Harley’s first modern OHV race engine, the XR-750 was designed in response to a 1969 change in AMA Grand National Championship rules. 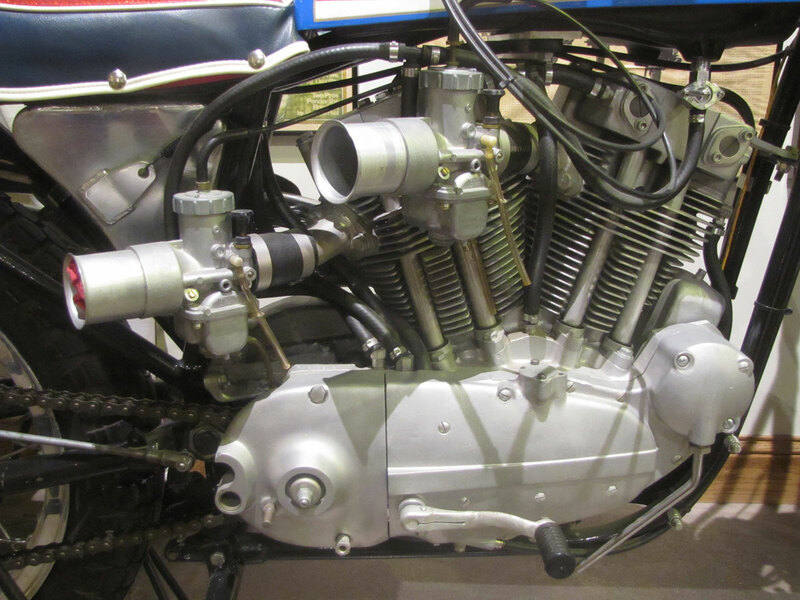 OHV engines then were enlarged from 500 to 750cc’s. 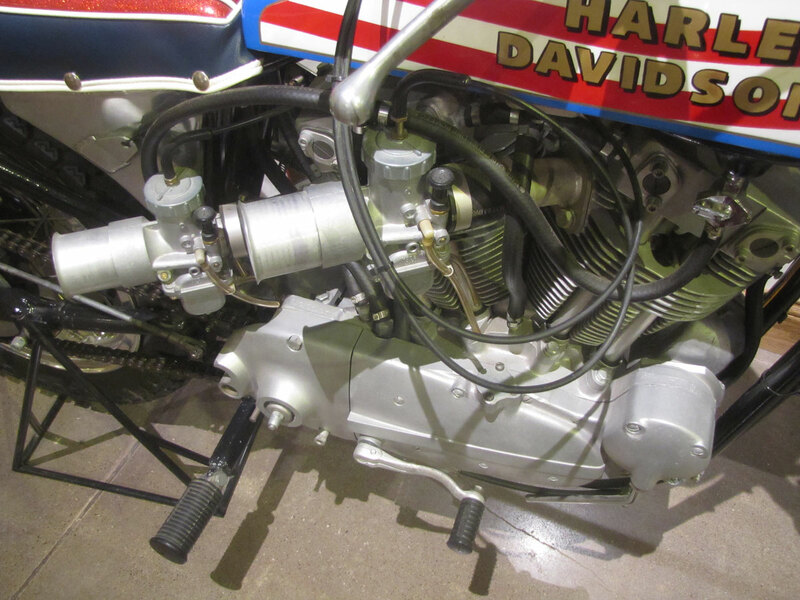 In spite of this more equitable setup for British contenders, the XR-750 has gone on to win the most races in the history of AMA racing, and shows up on grids even today almost 50 years after its debut! 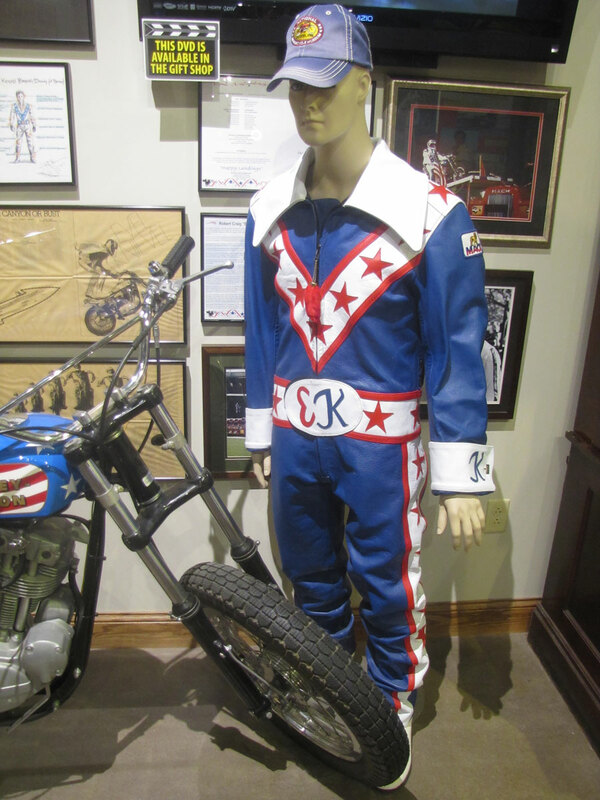 *Wikipedia offers some updates on other riders and their motorcycles and jumps over cars, buses, etc: Evel Knievel set most jump records using the XR-750, but since 2008, most jump records are held by stunt performer Bubba Blackwell. 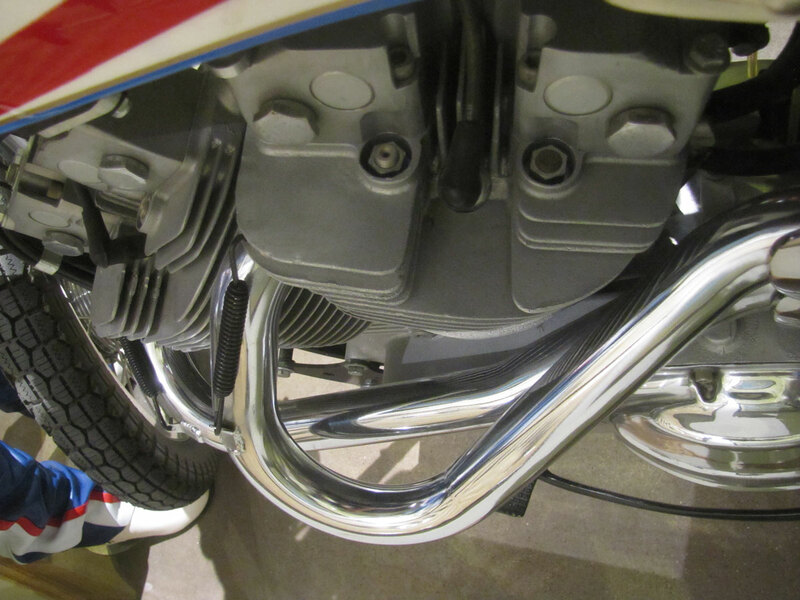 Currently, the longest jump on the XR-750 by Blackwell was successfully made in 1999, when he jumped 15 buses at 157 feet. 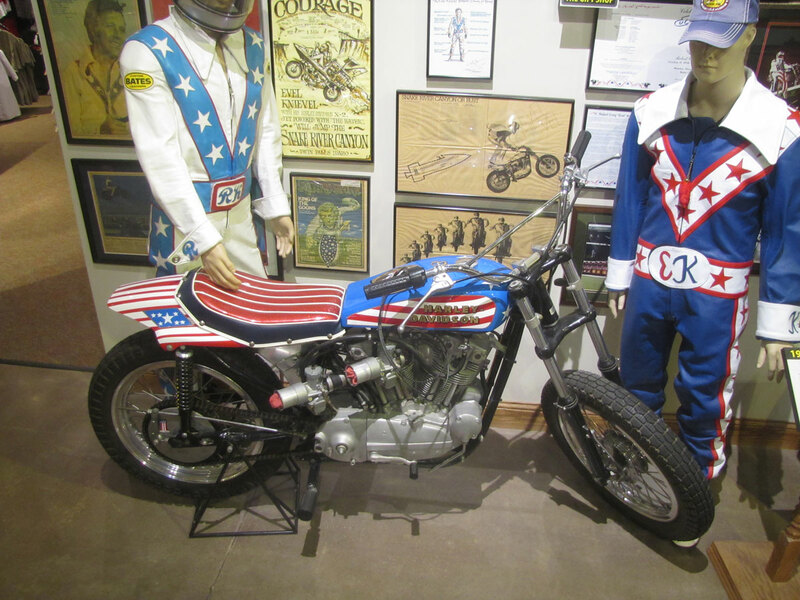 On August 6, 2015 the daredevil stunt performer Doug Danger at the Sturgis Bike Rally at the Buffalo Chip, broke Knievel’s record for most cars jumped on a XR-750 with 22 cars. 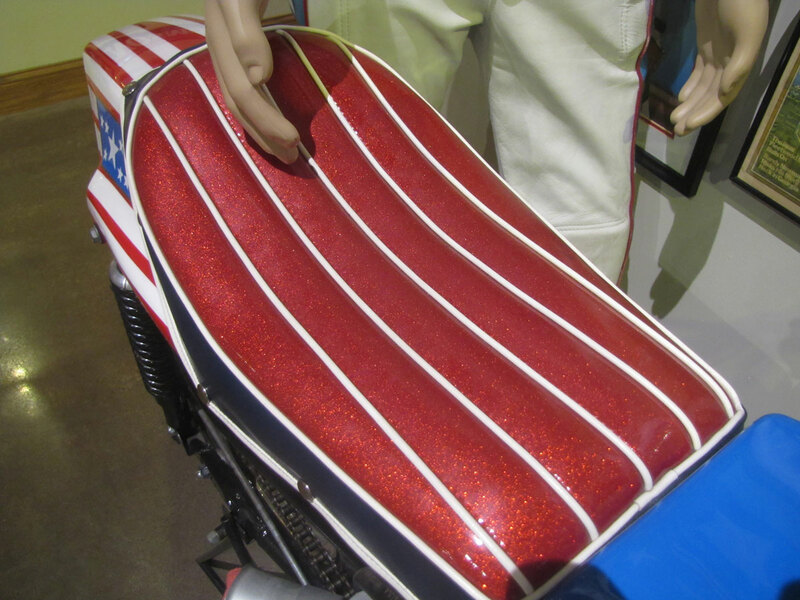 Knievel attempted this feat of 22 cars in Monroe, Washington on September 1, 1972 and cleared 21 cars but landed on the safety deck covering the 22nd car. 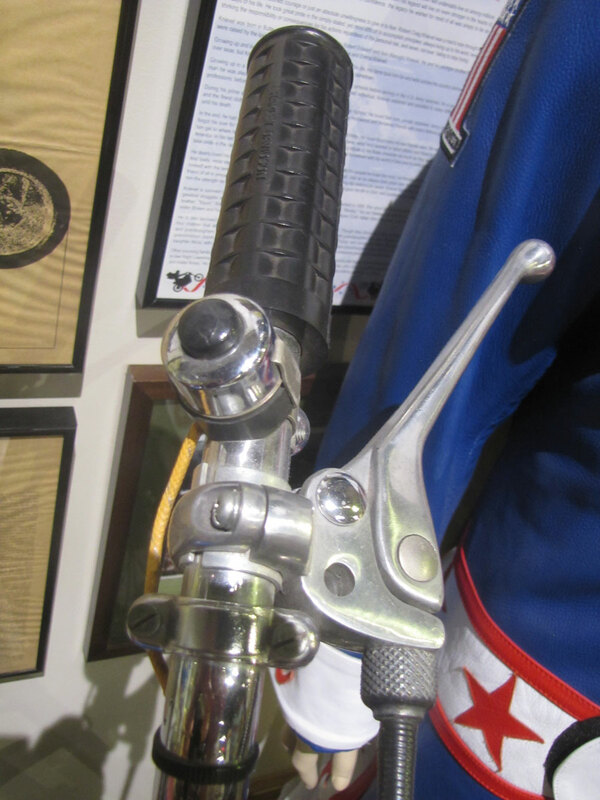 Bubba Blackwell attempted the same 22-car jump In 2001 with horrible consequences. 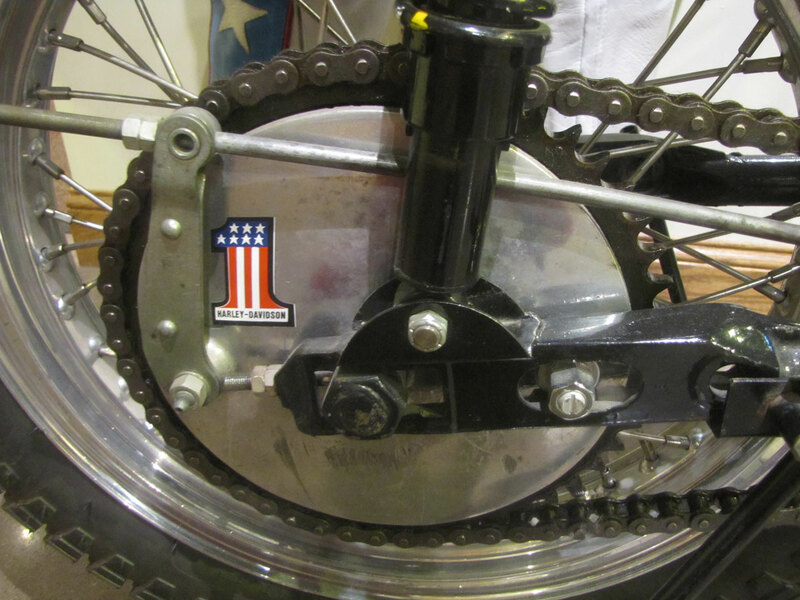 He flipped end-over-end when he missed the landing, nearly died and was in a coma for months. 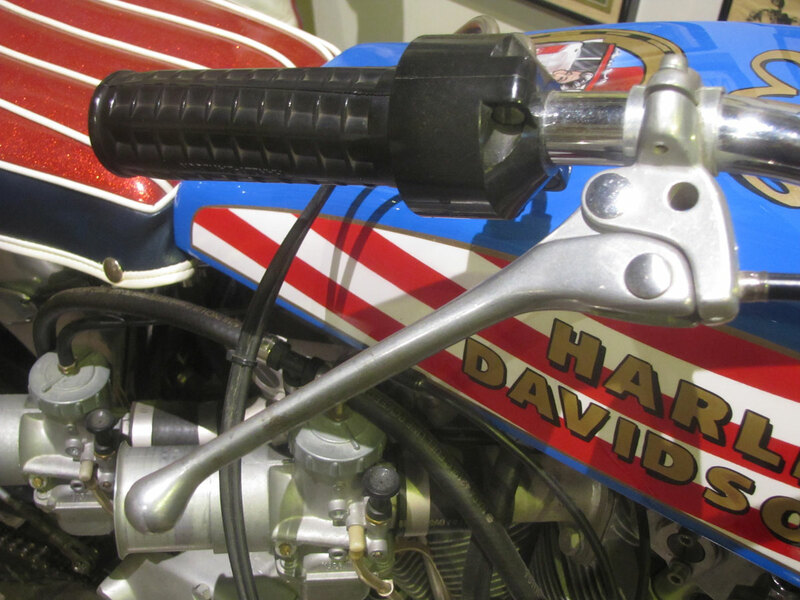 Danger accomplished this feat on Evel Knievel’s actual vintage 1972 Harley-Davidson XR-750. 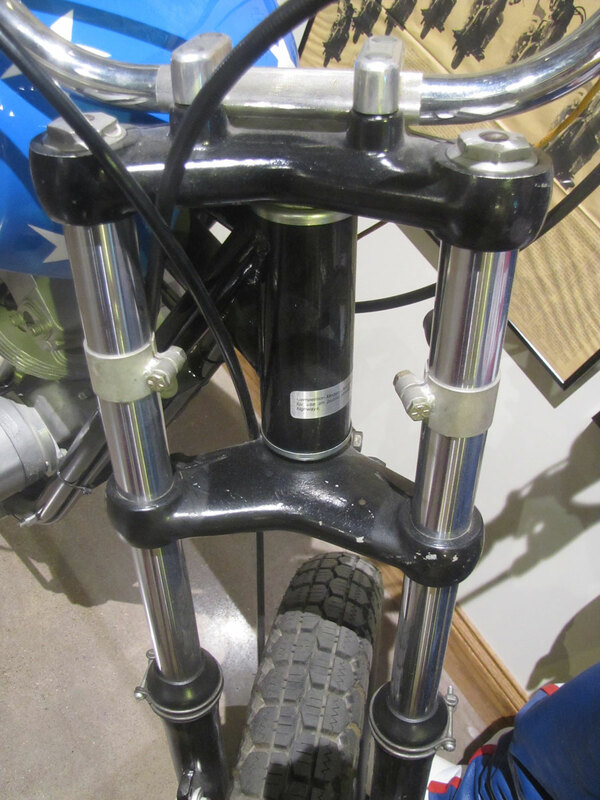 With no modification to the bike other than relocating foot pegs to accommodate Doug’s height. 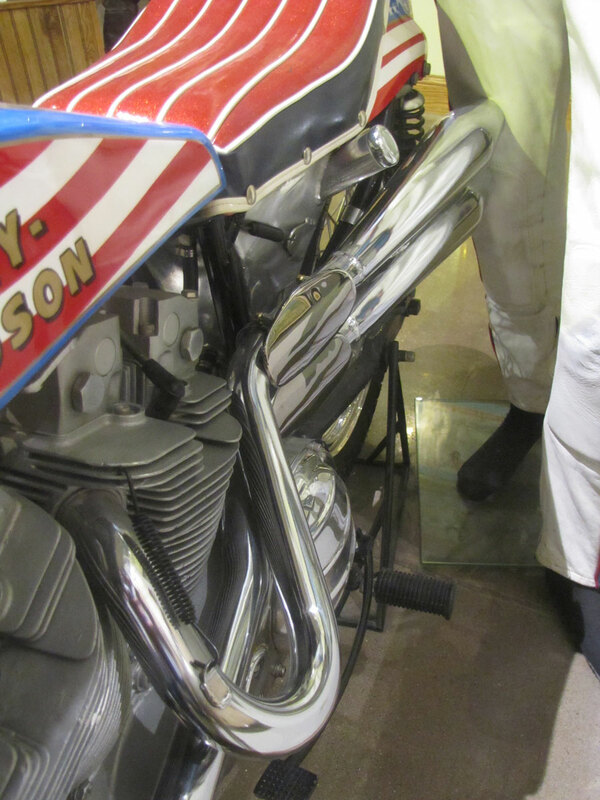 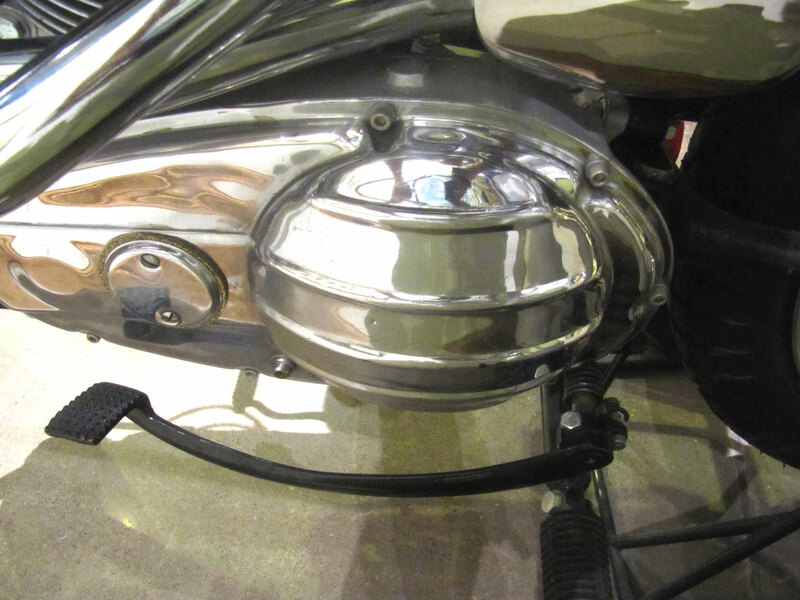 Sometimes due to the way or location the motorcycles are displayed in the Museum it is not always possible to move them to photograph them.